Ever wanted to go on an African safari; cruising through the savanna and seeing rhinos, giraffes, and zebras? 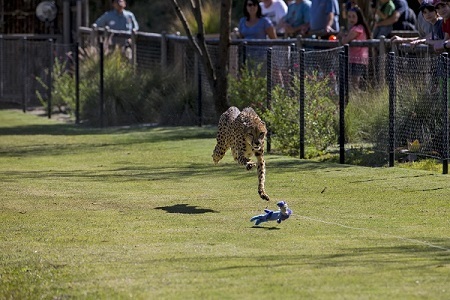 What about seeing a cheetah run at full speed? 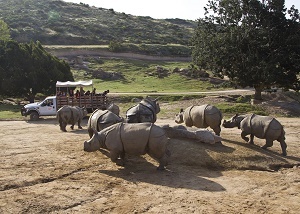 The San Diego Zoo Safari Park in Escondido, CA is one of the few places on Earth that can offer that experience without the hassle of overseas travel. 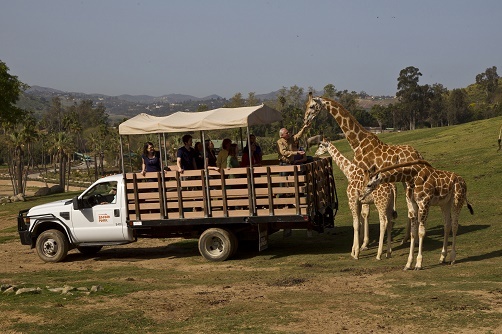 Rick Schwartz, an Ambassador of San Diego Zoo Global, says, “The Safari Park is like Africa, but closer.” However, you won’t be going around in your own car. Instead, there are several different ways to get around, from traveling around the perimeter on the narrated tram to riding through on a guided caravan or cart. Having worked for the organization for 16 years, Schwartz has a lot of experience with the tours. “My personal favorite one is the caravan safari,” he says. “It’s a little more intimate because it’s just you and twelve other people and the educator, so you can ask questions.” Even better, the animals know to approach the open-air caravan for treats, leading to some great photo opportunities. Aside from the safari tours, the park offers lots of other attractions and packages. “One thing that shouldn’t be overlooked is Condor Ridge because it’s one of the few places you can see California Condors,” he says. There are also behind-the-scenes tours where you can watch feedings and get a closer look at lions, rhinos, and more. For those who would rather do than see, try the Jungle Ropes Safari to climb like a monkey on a challenging rope course.